At its 20th meeting, on 17-18 May 2018, the Public Services International (PSI) – an international trade union federation representing public sector trade unions in 153 countries and territories, including Palestine, and its more than 20 million affiliated members around the world, unanimously approved to support and solidarize with the victims of the Great March of Return and their families. 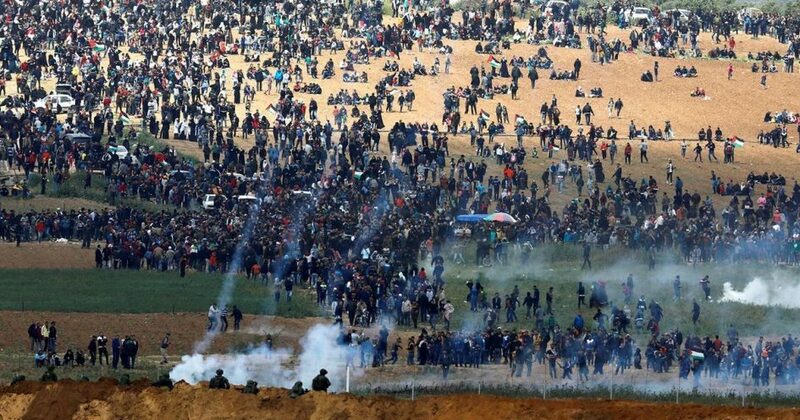 Public Services International voiced its strongest rejection on the excessive use of force against unarmed civilians, including women, children and senior citizens, and regrets the huge number people killed and injured by Israeli security forces. Thus, PSI supports UN Secretary-General António Guterres’ call for an independent inquiry into the violence, which could be flagrant violations of international law. PSI calls on all affiliates to write to their respective Foreign Minister, to raise-awareness and pressure the governments of their countries to call on the WHO, the UN Security Council and the Israeli government to take action to stop the targeting of health workers in conflict zones in general and Gaza in particular. Health workers are #NotTargets.